How I fell out of love with Super Smash Bros.
Nintendo released one of their, now famous, prerecorded Nintendo Directs last week. A bundle of announcements both surprising and utterly predictable. One such announcement, if you can call it that, left many of the internet simultaneously excited and confused. I am, of course, talking about the ending teaser that shows a Super Smash Bros. game coming to the Nintendo Switch. Yay!? Upon first seeing the Smash logo floating in the air like some demonic pyre, I immediately assumed that it was going to be a port of the game that was released on both the 3DS and Wii U a few years ago. As a result I wasn’t bouncing off the walls or anything. But not everyone jumped to the same conclusion I did, a lot of people around me took this short teaser and an indication that this was going to be a brand new Smash Bros. game. As of the time of writing this, Nintendo have done nothing to clarify which is the correct assessment. 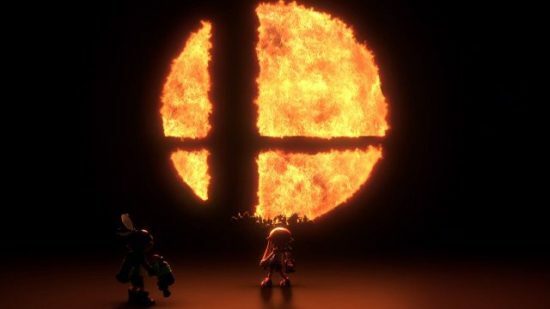 But weirdly enough, the thing that actually spurred me to write this post was that, despite the potential for a brand new Smash game, I’m not all that excited for it. That surprised me. I used to adore the Super Smash Bros. franchise. My prime time with the games were way back in 20XX, when I was at University. All I took with me to student halls was my Gamecube, and the fellow nerd types I gravitated towards all helped me obsess over Super Smash Bros. Melee. This was right in the middle of the transition between the Gamecube and the original Wii. So me and my friends all sat around playing Melee while excitingly anticipating the new game on Wii; a console I went and bought specifically for the game. I remember it quite well actually. Obsessively checking the Brawl website every day to see if any new information has been announced. Losing my mind when I learned both Sonic the Hedgehog and Solid Snake were coming to the game. It felt really important to me at the time. Brawl eventually, mercifully, did come out, five long months after Japan and three longer feeling months than the U.S. That then became our favourite game, amongst the odd bit of Mario Kart, Geometry Wars and Guitar Hero. It was a great game to gather around the T.V. with a few beers and play together, laughing and poking fun at one another. It was a good time. Smash cut to five years later. I’m out of university and back home. The process has started again. 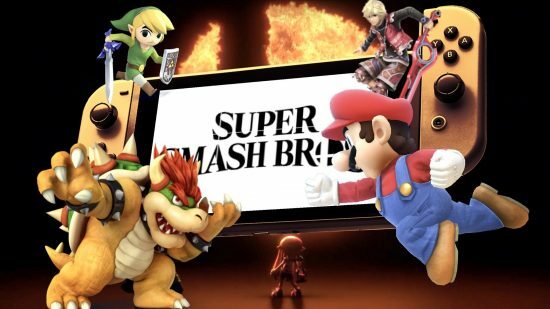 A new Super Smash Bros. had been announced, and like with Brawl, the people behind it loved to be coy when it came to announcements about their game. They spun a good marketing. Drip feeding a pretty ravenous fan base made it an easy job to be fair. I too, was pretty excited for the new game and laughed along with character announcements like Wii Fit Trainer and Duck Hunt Dog. But then it came out. There was nearly a two month gap between the 3DS version and the Wii U version coming out. Being the insatiable Smash fan that I was, I couldn’t wait that long to get the console version of the game. Even back then I had misgivings about the game’s viability on a handheld device. But I couldn’t help myself. I picked the game up and played it to death for those two months until the Wii U version hit. It was around here that my love of Smash started to wane from what it once was. It wasn’t a result of one big affront to my sensibilities. Rather, It was a collection of realisations that really put me off the series. The first one, you might be able to guess from what I’ve already said: All of my enjoyment from Smash came from the fact that I treated it as a party game. It was something I could play with people in the same room. Given my lack of lazy student lifestyle at this point in my life, and the lack of access to real people to play with, the fact that the game spent its first two months as a 3DS exclusive was kind of moot. It didn’t have the same sense of chaos and wacky nonsense when I was the only person in the room. I still endured and wanted to spend more time playing the game against real people though, so then I went and discovered the next thing that turned me off the series: the competitive scene. I’m not going to claim that competitive online is anywhere near the same par as “professional” Smash, but it introduced an approach to the game I’d never been bothered with before. I was better than most of my friends at the game back at University, so could play at half speed, still do decently and have fun at the same time. Online, people played to win, and they played hard. I found myself struggling to keep up and looking up tips and tactics to be able to play the game more competitively. It was after doing this that I lost a particularly one sided match and started to wonder why I was even playing the game anymore. It stopped being about fun and started being about the desire to win, something I rarely cared about. Some beautiful readers out there might claim that my “suckage” at the game were the reasons behind me not liking it, and that I need only “git gud”. And you might be onto something there. But to be honest, even if I was amazing at the game, the charm would still be absent for me. As the faceless individuals I would be trouncing would still be trying hard, and it would ultimately be no different than playing against tough AI from my point of view. 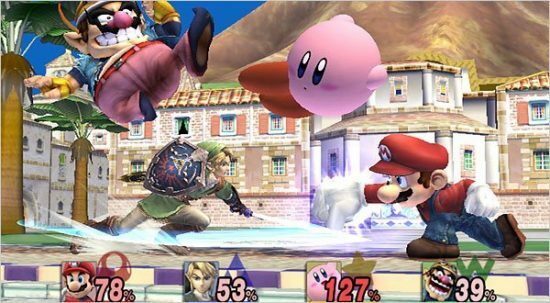 So here’s a hot take for you: Smash Bros. should not be a competitive fighting game. The game really isn’t balanced for it at all. 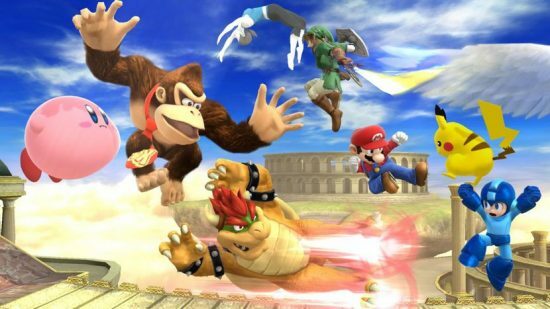 When you play Smash on its default setting you will find yourself with two or four character of different shapes or sizes, all with drastically different move sets. On top of that all kind of random events will occur depending on the map, then you have items falling around the stage at random intervals too. To be considered a “balanced” fighting game based on skill alone is actually a kind of ridiculous concept when applied to Smash. 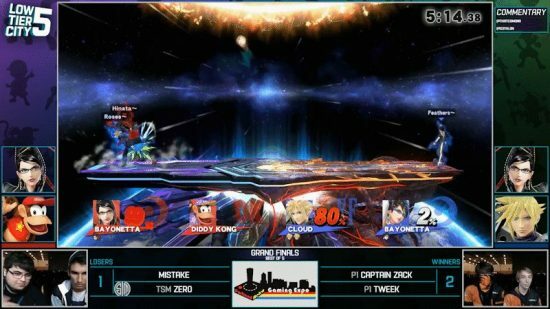 Looking up tournament footage of this game, you’ll only ever see very basic style stages being played, ones that lack any randomness, with no items whatsoever, and only a pretty small selection of “actually viable” characters being used. It’s pretty silly to me that the pro scene of this game only ever sees 10% of the game’s overall content. A concept like Fox only on Final Destination is the kind of thing that makes me want to ask why you aren’t just playing an actual fighting game. I get the impression that the game’s director; Masahiro Sakurai felt somewhat similar. In many his interviews about the series, specifically Brawl, he talked a lot about accessibility. The infamous 1% chance of tripping in Brawl almost felt like a middle finger specifically in the direction of the competitive scene. Sakurai never said as much as far as I could find, always claiming that tripping was included for the sake of balance for the more casual player. But I feel this might have been him resisting the pull of the competitive scene in regards to the Wii game. By the time the 3DS/Wii U game came out though, the game actually felt like it was catering more directly to the competitive scene this time, as many out there were still continuing to play Melee. It got “Final Destination” variants of every map, the removal of transforming characters such as Samus and Zelda/Sheik and the nerfing into the ground of Meta Knight. These all felt like things that could make the new Smash a presence that could make Nintendo some money at events like EVO, while also stopping people from dragging a dead format around with them that they couldn’t sell anymore. By this point, anyone who vehemently disagrees with me has probably stopped reading. Which is fine, because this is all ultimately my personal preference, a lot of people out there still like Smash as a competitive game, but it’s simply not for me anymore. 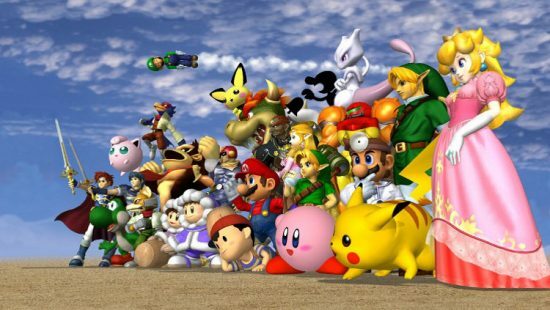 I have come to realise that Super Smash Bros. was very much a time and place kind of game for me. Even though I didn’t realise this until recently. It very well could find itself another time and a place kind of game for me again, but with the portable nature of the Switch and the direction “Couch Co-op” have taken, it seems unlikely. I think the most interesting thing about Smash to me at this point are their drip feeding marketing tactics. And when this game comes out, if it does indeed, turn out to be an original game and not just a port of the Wii U game, then I’ll be hard pressed to pick it up. Unless of course I move into another big shared apartment complex and everyone else all happen to be giant Nintendo fanboys. Posted on March 19, 2018 March 18, 2018 by WooderonPosted in Features and/or Ranting:, Video GamesTagged 3ds, brawl, gamecube, link, mario, masahiro sakurai, melee, nintendo, smash, super smash bros, switch, wii u, zelda.